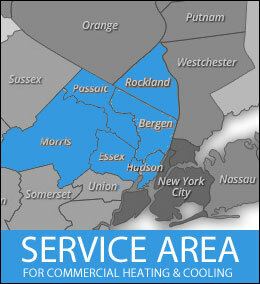 Since 1948 GRC Mechanical Services has been designing, installing and servicing quality air conditioning, refrigeration and heating systems for residential, commercial and industrial clients in Bergen, Passaic, Essex, Morris and Hudson counties in New Jersey and Rockland County, New York. Choose GRC Mechanical for all of your residential service needs. Whether replacing or repairing your existing heating or A/C equipment or installing a complete new system, GRC Mechanical Services will design and install a custom solution to meet your needs with a focus on comfort and efficiency. The products we service include installation and repair of residential and commercial air conditioning systems, gas furnaces, boilers, heat pumps, commercial refrigeration systems, wine cellars, and generators. GRC Mechanical is a commercial HVAC contractor you can depend on! 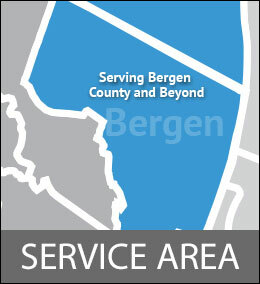 For more than 60 years, GRC Mechanical has been meeting the commercial HVAC/R needs of businesses and organizations in Bergen County, New Jersey, and surrounding areas.Our skilled commercial HVAC/R professionals will quickly be able to diagnose and troubleshoot any repair needed on your system. They will also be able to help you choose the best, most energy efficient commercial HVAC/R products for your business or organization, as well as your budget.